Let's do this - we're ready when you are! As a homebuyer, you may spend hours looking for the perfect home, and then hours deciding on the perfect mortgage. Heartland Bank can cut those hours down for you by matching your wants with your financial needs. 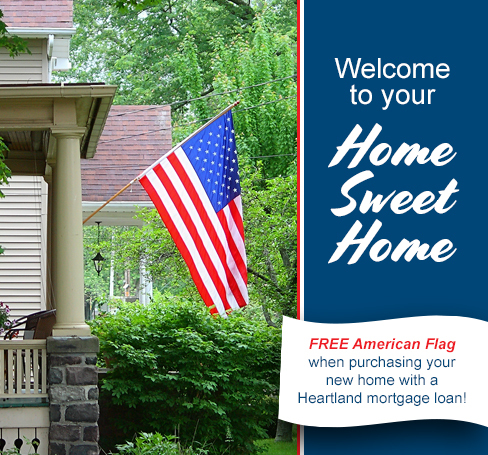 Our mortgage lenders are committed to our customers - with a smooth, quick loan process! Are you afraid of change and like to plan for the future? With a fixed rate mortgage, the monthly principal and interest payments remain the same for the term of the loan. Heartland Bank can provide convenient payment terms to accommodate your financial goals. Fixed rates are best for buyers who plan to make their house purchase a long term investment – a house that will be your forever home! Are you interested in a starter home and want to keep the payment as low as possible up front? With an Adjustable Rate Mortgage (ARM), the monthly principal and interest payments change based on a schedule and an external financial index.